Dr Farzana Islam BDS (Hons), BSc, ARCS. Farzana qualified with honours from Kings College Hospital, London in 2010.She is particularly interested in preventative and minimally invasive dentistry, believing that prevention is always better than cure. 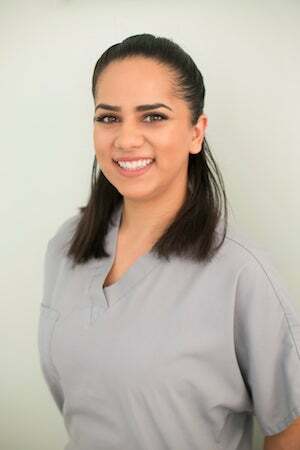 Farzana has a keen interest in aesthetic dentistry and enjoys providing tooth coloured restorations such as composite fillings and porcelain crowns. She has experience in cosmetic orthodontics and provides short term orthodontics such as Inman Aligner and Cfast. Farzana enjoys keeping up to date with the most current developments in dentistry and regularly attends courses and seminars. She greatly enjoyed her recent charitable work in Morocco in collaboration with DentAid and hopes to do more charitable work in the future. After completing his training at The Royal London Hospital in Whitechapel, Colin Orsbourn qualified in Dental Technology in 1980. Moving to The Eastman Dental Hospital, Colin obtained Advanced Certificates in both Prosthodontic Technology and Crown and Bridge Technology, and achieved the post of Senior Dental Technician within the Prosthetic Dental Laboratory. Colin enrolled on the denturist programme at the International Denturist Education Centre at George Brown College, Toronto. In 2002 he obtained the Certificate in Denturism, and was awarded an honours Diploma in Denturism in 2003. Bespoke Denture Centre was formed in 2001 providing dentures directly to the public. In 2007, The General Dental Council introduced a new classification of Dental Care Professional, the Clinical Dental Technician who is now able to treat patients directly who require complete dentures. 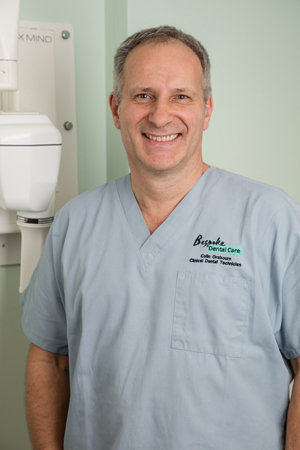 Colin Orsbourn was one of the first thirty candidates to qualify in the UK, with Diploma in Clinical Dental Technology (Royal College of Surgeons of England). 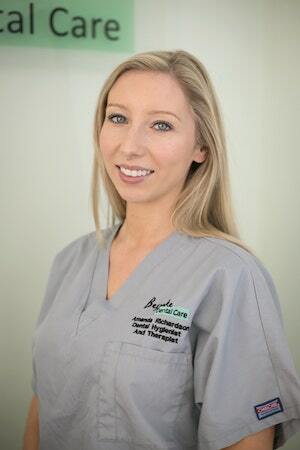 Amanda worked as a nurse and within the dental recruitment industry for over 6 years before commencing her studies at the prestigious Kings College Dental Hospital in London and qualified as a Dental Hygienist and Therapist in 2016. Whilst at King’s, Amanda was awarded ‘Best Student in Clinical Skills’ and under new GDC guidelines benefits from full and direct access to patients. She brings with her a wealth of experience in community and special care as well as paediatric dental care. Anika has been working as a dental nurse since 2011 and qualified with the NEBDN in early 2013. She has ample experience having worked wih a varied number of denists and dental care professionals. She is particularly interested in cosmetic dentistry and enjoys providing a high level of care by ensuring a dental visit is comfortable and enjoyable for patients. Anika aspires to one day study a course that enables her to give more personal and direct care to patients. Anika enjoys spending her spare time with friends and family as well as watching films and keeping active. 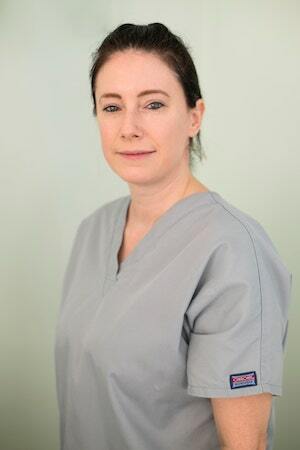 Natalie has been a dental nurse since 1999. Working in both a private and NHS setting she has gained experience in many fields of dentistry, including cosmetic treatments, orthodontics and implants. She has been responsible for administrative duties, website work and advertising to help her previous dental practice grow their patient base and is looking to do further training to enable her to take impressions for patients. In her space time Natalie likes to keep fit swimming, spending time with her daughter and has a love of medieval history.